Vivienne Westwood Ladybird Earrings Gold. Constructed from gold toned plated brass frame, detailed with a red resin cast shell dotted with black Swarovski crystal spots. 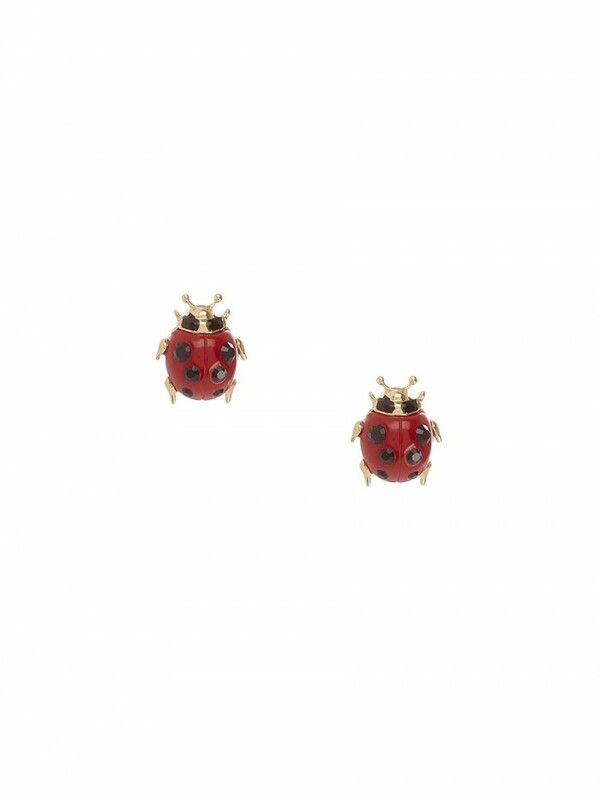 Considered worldwide to be lucky, Vivienne Westwood celebrates the humble Ladybird.